Packet 50, red, gold and green trees. 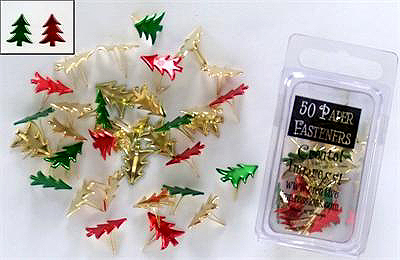 Paper studs (brads) are a quick effective embellishment for any card or scrapbook page. Easy to use, just push the prongs through the paper/card and bend apart to complete. Sunday 21 April, 2019 10620699 visitors to this site.